The video game event of the year returns this summer, bigger and better than ever. ROBLOX Rally 2011 welcomed 1000 attendees to the Exploratorium Museum in San Francisco last August, but given the enthusiastic response from a devoted and expanding fan base, it’s no surprise that the venue has changed. 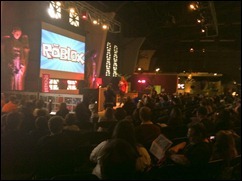 Tickets are now on sale for the ROBLOX Game Conference which will be held at the Santa Clara Convention Center on July 14, 2012. 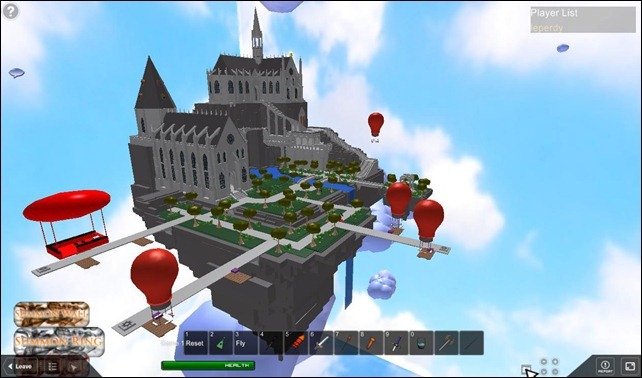 This year, the event promises “more demos, more computers, more learning, more ROBLOX.” And, new this year, ROBLOX is inviting digital artists, groups, and vendors to meet up and exhibit at booths. 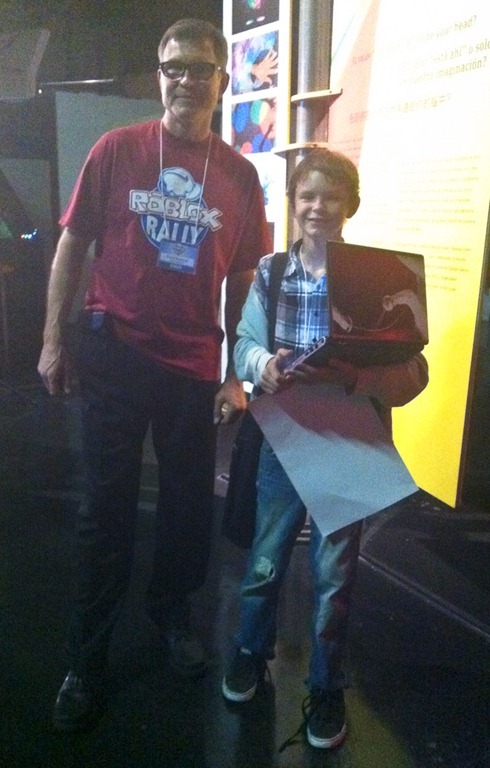 Last year, my son and I drove across the country from Albany, NY to San Francisco just to attend the ROBLOX Rally. Well, we also made the road trip to drop off my daughter at a ski training camp at Mount Hood, OR, but the ROBLOX event was the reason my son was happy to go with us. The all-day event was packed with activities and presentations, but I made it a point to attend two in particular: ROBLOX for Parents – Getting the most out of ROBLOX as an educational tool; and Breaking Into the Software Industry – The interns tell you how! It was fascinating to learn about the educational applications on ROBLOX, including how it is being used in progressive schools. Some projects mentioned were a Gold Rush history project, an art school portfolio project, economics lessons, and a Newtonian Physics simulation. Although I have to admit that I already had plenty of reason to be amazed by the learning applications that my son has shared – from negotiations worth of the United Nations to amazingly detailed architectural renderings. Encourage kids to build, not just play games. 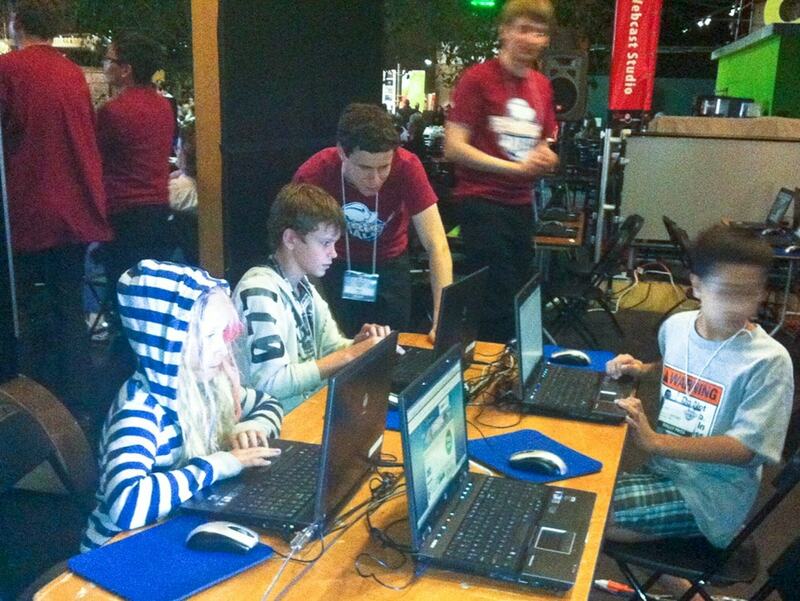 Encourage kids to do scripting, or programming, and to make full use of the tutorials on the official ROBLOX wiki. Ask kids to show you how they built their games. 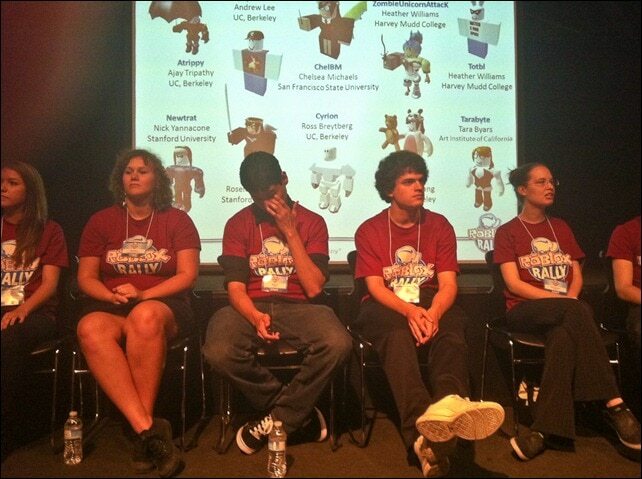 Even more interesting – to both my son and I – was the question and answer session with the ROBLOX interns. These young men and women were spending the summer getting paid to do something truly incredible, but the company benefited from tapping into some of the brightest and most creative minds found at top engineering and art programs around the country. Of course, my son has plans to someday be one of those interns with dreams of making this his career, so he was very eager to glean any advice. Both of us were impressed by the company’s emphasis in hiring self-starters who can take a project and run with it. But I’ll let my son speak for himself about what he got from attending the ROBLOX Rally. Hi, my name is Alex, and sometimes Leperdy. I am an aspiring young programmer and web developer with a dream that takes place in Silicon Valley. The ROBLOX Rally was an event at the Exploratorium in San Francisco, California where you got to meet and talk to the ROBLOX staff. One of the great things for me was getting to talk and ask questions of the ROBLOX interns! 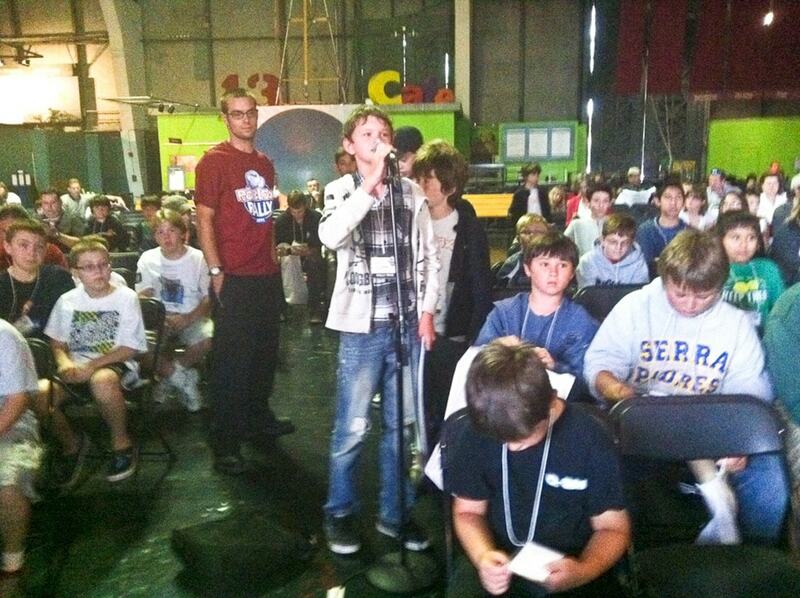 I asked when and how they learned to script LUA, the coding language of ROBLOX. One of the staff said he learned when the first computer came out that had no memory. When he wanted to play games on it he had to make the script himself whenever he turned it on! Another intern said that she learned on the job! Not only did I get to meet the staff and interns but I also got to meet about a thousand ROBLOX players! The one thing I noticed about them is that although they may be different, from places all around the world, black or white, Spanish or English, tall or short they all shared one thing – creativity. What really inspires me about the ROBLOX staff is that they are the kind of people that would take a college application form, and turn it into a praise of the many positive attributes of pineapples. They are the kind of people that would take a website, and turn it into the greatest online building and gaming site ever. ROBLOX has been great for me, because it’s like real life made out of LEGOs. 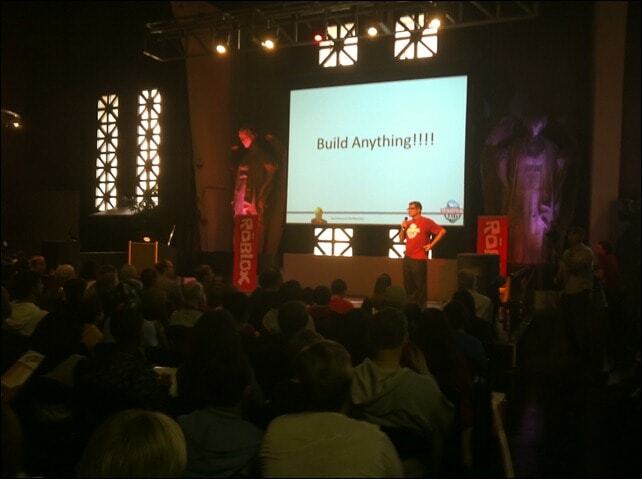 In ROBLOX, I learn creativity, scripting, graphic design, networking, organizing, stocks, business, and more! Through trial and error I learned to develop my own ideas, and profit off of them. My idea was to make a group where ROBLOXians can connect, and be random, without the hassle of military fighting! It’s called Random Insanity. At the game conference, I learned about updates like mega games, plugins, and personal servers! I also got to attend some very interesting LUA scripting classes. 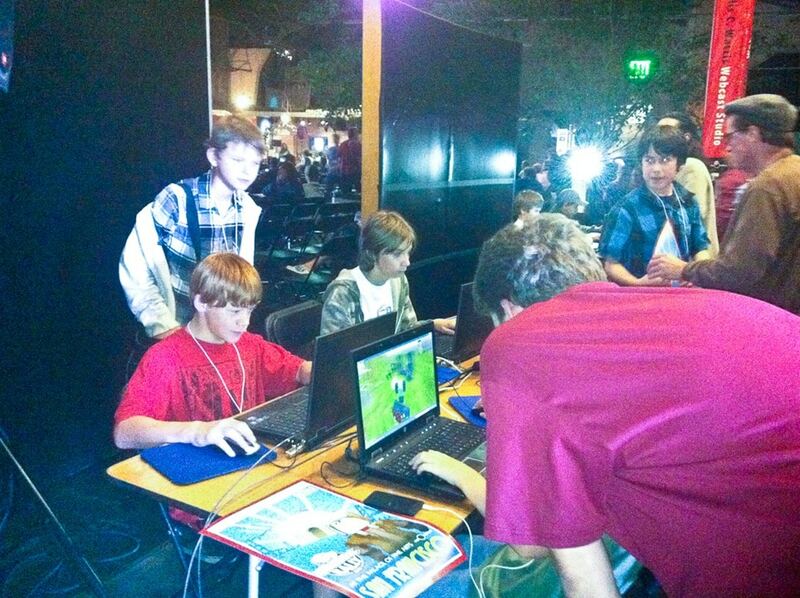 They also had information for adults such as how ROBLOX is good for your kids. ROBLOX is more than just an awesome online toy, it reveals who we all are, or want to be, deep down. It’s not just a game; it’s a way of life. So if you are a fan of ROBLOX don’t miss the next game conference! Be creative, be social. The Conference will be held on Saturday July 14, 2012 at the Santa Clara Convention Center, conveniently located near dozens of hotels and next to the themed amusement park Great America. Santa Clara, California is located in Silicon Valley, 10 minutes away from the San Jose International Airport. It’s about a 50 minute drive from San Francisco, and 90 minutes from the Monterey Bay Aquarium.